Home » Actor Advice » What is a Cold Reading? Do I memorize my lines? What is a Cold Reading? Do I memorize my lines? You’re audition includes a Cold Reading! What is a Cold Reading? A cold reading is when an actor performs a script having little or no advance time to prepare that performance. Often times, cold reading auditions do not allow actors to give their best performances. Learn how to do a cold reading and you will stand out in all your auditions! Should an actor get as familiar with the material as you can? YES, of course. However, casting directors, writers, producers and directors do not expect a performer to be completely memorized on the first read (audition). Instead, the performer should be memorized during their callback, so he or she can work as a believable character without worrying about their lines. Cold reading takes skill and requires lots of practice in order to have a comfortable audition or performance. Actors have to be able to quickly swoop down over the script, grab their line fast, bring their face up and deliver their line to the other actor or reader. It’s important to keep their face up and stay focused on scene partner until they give the cue for next line. Note: don’t go back to your script until you have REACTED to his line! Listening and reacting is just as important in a cold-reading audition as it is with a second callback. 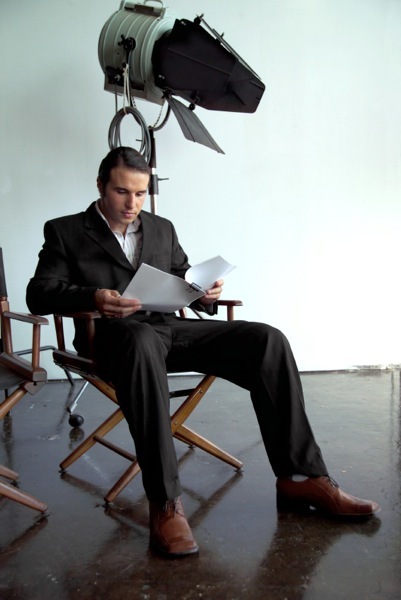 Cold readings are very common in commercial auditions. Often times, casting directors will not post sides before the audition, particularly if an NDA (Non-Disclosure Agreement) is required to be signed before your audition. NDA’s are used to keep the material confidential, so that a popular campaign will not be leaked before it’s aired. For instance, when a big celebrity is the star of a new cell phone commercial for, let’s say… the Super Bowl, the advertising agency will want to keep that information confidential, so the commercial will be the talk of the town! Lastly, lines can be changed after you’ve already booked the job and are performing on set! You’ll get new pages of material and are expected to how right on in! You can do it! Break legs with you cold reading skills!